Regular users told us probably the most crucial thing of swimming is to control your breathing. To get this, our head will need to be aligned with our spine all the time. Looking for Heated Pools in Sweden? Many of them belong to gyms or sport centers which also give lessons. Not all countries would be the identical, and swimming regulations and rules are changing from one country to a further. These are the Swimming Pools other users have reported. Are you a local and your pool just isn't listed? Contact us to ADD IT. It's absolutely free! 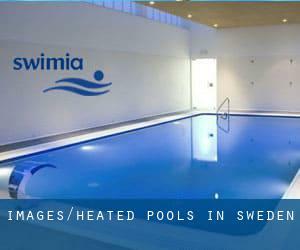 Swimia.com has essentially the most up-to-date database about Heated Pools in Sweden. Please, use the get in touch with data supplied at each and every pool profile. Swimming is a excellent idea to keep your body active in the course of your visit to Stockholm (Sweden), or even should you be a local. Swimia assists you to discover your closest Swimming Pool in Stockholm. It's difficult to visit Sweden without dropping by Västerås (with 107.194 residents). Currently Swimia is showing you all the Swimming Pool in Västerås and the closest pools located in its vicinity. Whereas Uppsala is one of the six most populous cities in Sweden with nearly 127.734 residents, you shouldn't miss that one if you're going to Sweden. Holding an estimated population of 504.084, Gothenburg is one of the most important cities in Sweden. Check all of the Swimming Pool in Gothenburg and its surrounding area. Without a shadow of a doubt, swimming in Malmö may be the perfect way to unwind right after function. 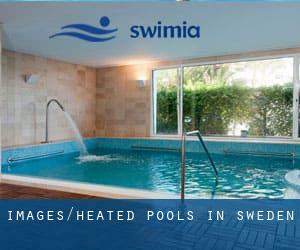 Take a couple of minutes to browse Swimia's catalog to find a Swimming Pool in Malmö. Let us tell you a secret to switch off whilst you might be in Kista: just choose a Swimming Pool in Kista and plunge into the water! There's no more useful method. Updated on 2019 Kopmannag 3 , Norrtalje (Postal Code: Unknown). Among all the activities provided by the center, in case you are thinking about swimming you will get pleasure from 25 meters, 1.2 meters - 1.8 meters depth, 1.2 meters - 1.8 meters depth, Indoors. If you'll want to make contact with this Swimming Pool, email address and phone number are both number. Updated on 2019 Slottsgatan , Sosdala (Postal Code: 28010). Swimmers like you reported 25 meters x 8 meters, 1 meters - 2 meters depth, 1 meters - 2 meters depth, Indoors. Phone number and e-mail address are number for this Pool. Updated on 2019 In downtown Staffanstorps , Staffanstorps . This sports center gives 25 meters x 12.5 meters, 6 lanes, Indoors. Contact details for this Pool such as phone number and email address are number. Updated on 2019 Attundavägen 5-7 , Taby (Postal Code: 183 36). This sports center gives Olympic size, 6 lanes, 1.3 meters - 3.9 meters depth, 1.3 meters - 3.9 meters depth, Indoors. Contact information for this Swimming Pool which include phone number and email address are number. Updated on 2019 Kungsallén , Romakloster (Postal Code: 622 54). Among all the activities provided by the center, if you are considering swimming you may delight in 25 meters x 8.5 meters, 4 lanes, 0.9 meters - 3 meters depth, 0.9 meters - 3 meters depth, Indoors. If it is advisable to contact this Swimming Pool, email address and phone number are both number. Updated on 2019 Petrus Laestadiusväg 15 , Umea (Postal Code: 903 42). This sports center provides 25 meters, 6 lanes, Indoors. Contact data for this Swimming Pool just like phone number and email address are number. Updated on 2019 Tingshusgatan 18 , Ludvika . Among all the activities supplied by the center, if you are considering swimming you can enjoy 25 meters, 6 lanes, Indoors. If you will need to contact this Swimming Pool, email address and phone number are both number. Updated on 2019 Sveavägen 2 , Vaggeryds (Postal Code: 567 32). Among all the activities offered by the center, for anyone who is interested in swimming you can get pleasure from 25 meters x 8.5 meters, 3.1 meters depth, 3.1 meters depth, Indoors. If you might want to get in touch with this Pool, email address and phone number are both number. Updated on 2019 Folkets Hus , Vilhelmina (Postal Code: 912 32). Swimmers like you reported 25 meters, Indoors. Phone number and e-mail address are number for this Swimming Pool. Updated on 2019 V.Torggatan 26 , Karlstad (Postal Code: 651 84). Among all the activities provided by the center, when you are thinking about swimming you are going to get pleasure from 25 meters, 8 lanes, Indoors. If you need to make contact with this Swimming Pool, email address and phone number are both number. Updated on 2019 Among all the activities provided by the center, should you be thinking about swimming you are going to appreciate 25 meters, 6 lanes, Indoors. If you should contact this Pool, email address and phone number are both number. Updated on 2019 Västergatan 54 , Eslov (Postal Code: 241 31). Among all the activities offered by the center, for anybody who is interested in swimming you will enjoy 25 meters, 6 lanes, 3.8 meters maximum depth, 3.8 meters maximum depth, Indoors. If you should contact this Swimming Pool, email address and phone number are both number. Updated on 2019 Industrigatan , Bjarnum (Postal Code: 28020). Among all of the activities supplied by the center, should you be keen on swimming you can expect to enjoy 25 meters, Indoors. If you need to get in touch with this Swimming Pool, e-mail address and phone number are both number. Updated on 2019 Badhusplanen 1-3 , Solna (Postal Code: 169 55). This sports center delivers 25 meters x 10 meters, 5 lanes, Indoors. Contact knowledge for this Swimming Pool such as phone number and e-mail address are number. Updated on 2019 Gymnasietorget 2 , Huddinge . Swimmers like you reported 25 meters, Indoors. Unfortunately we do not have the email address of this Pool, but we can provide you with the phone number.